Wheelchair vehicles are available upon request. Bemnet Limo will meet and exceed all both Federal and State ADA required policy. 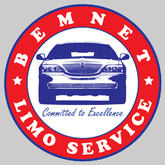 Bemnet Limo when possible will accommodate wheelchair customers.